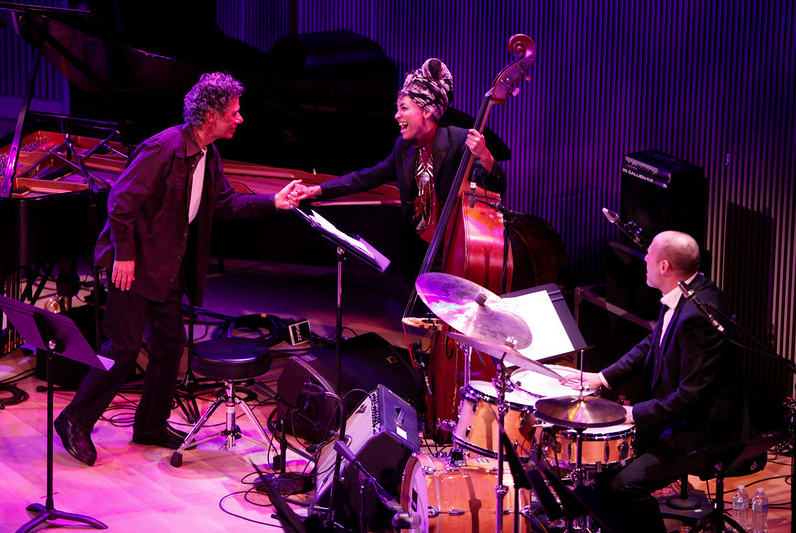 San Francisco celebrates the opening of its $64 million SFJazz Center with the inauguration gala and concert Wednesday Jan. 23, 2013. Bill Cosby MCed the show that featured Esperanza Spalding, Chick Corea, and McCoy Tyner. Corea, Esperanza Spalding and Jeff Ballard took ‘Alice in Wonderland’ down the rabbit hole, in a dizzying reimagining of a tune that Corea said could only be played with Bill Evans in mind. The first set’s high point paired Lovano with Joshua Redman on Lovano’s ‘Blackwell’s Message,’ a track delivered with soul and passion and roof-raising propulsion by bassist Matt Penman, John Santos and Ballard. Learn more here. Listen the complete gala concert here.